Sir Charles Swift Lillicrap (born 12 November 1887 at Ford, Devonport, died 17 June 1966 in Lincoln) was a British naval architect, who served as Director of Naval Construction from 1944 to 1951. Lillicrap was educated at Stoke School in Devonport up to the age of fourteen. Then he started a shipwright apprenticeship at Devonport in 1902. He obtained a cadetship in naval construction in 1906. He spent one year at the Royal Naval Engineering College, Keyham, and then completed the three-year course in naval architecture and ship construction at the Royal Naval College, Greenwich, which he finished in 1910 with a first-class professional certificate. Subsequently, he became Assistant Constructor at the Royal Corps of Naval Constructors at Devonport Dockyard in 1910. Starting in February 1913 he served for one year on HMS Superb. He then joined the Director of Naval Construction department at the Admiralty in March 1914. There he was initially involved in the design of the Royal Sovereign class of battleships and later of large monitors, mine-sweepers, and other craft. He became secretary to the landship committee, which was chaired by the director of naval construction, Eustace Tennyson-d'Eyncourt, and focussed on the production of the first military tanks. To honor his efforts on achieving this objective, Lillicrap was appointed MBE. He was made Acting Constructor in 1917 and took the responsibility for cruiser design. In 1921 he supervised the design of the cruiser-minelayer HMS Adventure. As a consequence of the Washington treaty of 1922, the tonnage and gun calibre of war ships was subjected to restrictions. Lillicrap supervised thus the design of the 'Treaty Cruisers' of the Kent class, which was limited to 10,000 ton standard displacement and 8 inch (203 mm) calibre main guns. He worked as Lecturer in Naval Architecture at the Royal Naval College, Greenwich, in 1921, where he trained Probationary Assistant Constructors. There he became Constructor, Director of Naval Construction Department, in 1922. He supervised design variants of the County class, including the Surrey and Northumberland. When naval construction was ramped-down, research and development of electric welding became increasingly important. Lillicrap conducted a special survey of welding in 1930 and cultivated an interest that was the subject of several papers in journals and before learned societies. He continued to be intersted in Welding during all his working Career, and he became president of the Institute of Welding from 1956 to 1958. Within the constraints of tonnage allowed under the treaties then in force, welded construction was attractive to save weight. Thus the design on the Arethusa class, which was supervised by Lillicrap had an extensively welded bow section, which contributed to over 250 tons being saved in comparison to the original specification. He became Acting Assistant Director of Naval Construction, in charge of submarines from 1936, and Assistant Director of Naval Construction in charge of cruisers from 1938. In 1941 he was appointed Deputy Director, and in 1944, Director of Naval Construction, a post that he held until his retirement in 1951. The Director of Naval Construction (DNC) was a senior principal civil officer responsible to the Board of Admiralty for the design and construction of the warships of the Royal Navy. In this function he was also Head of the Royal Corps of Naval Constructors, the naval architects who staffed his department from 1860 to 1966. Lillicrap's retirement from Admiralty service marked a change in emphasis rather than a cessation of work. In addition to his work for the institutions, he became a director of J. Samuel White & Co., the Island Transport Company, Henry Bannister Ltd, and Marinite Ltd.
Lillicrap took a leading role in some of the learned societies within his profession. He sat in the council of the Royal Institution of Naval Architects from 1937 until his death, becoming vice-president in 1945, and an honorary vice-president in 1955. He sat also in the council of the Institute of Welding and of the British Welding Research Association and was president of each of these. He presented papers on 'The uses of electric arc welding in warship construction' to the Naval Architects in 1933, and 'Welding as applied to shipbuilding' to the Institute of Welding in 1935, and contributed to the publications of these institutions. Lillicrap was a liveryman of the Worshipful Company of Shipwrights and was its prime warden in 1958. He furthered the education and welfare of shipyard apprentices and was for many years chairman of the Worshipful Company's committee for awards to apprentices. He was a member of the board of governors of the Imperial College of Science and Technology for nearly twenty years and in 1964 was elected to a fellowship in recognition of his valuable service. He was awarded the honorary degree of DSc (Eng) by Bristol University in 1951. The collection includes certificates for the Professional Certificate in Naval Architecture from the Royal Naval College, Greenwich, 1910; and the award of a W.W. Marriner Premium by the Institution of Engineers and Shipbuilders in Scotland, 1944. Also a volume recording the admission of Lady Harriet Minnie Lillicrap to the Honorary Freedom of the Worshipful Company of Shipwrights, 1959; and a letter sent to Sir Lillicrap on his retirement from the Board of Directors of J. Samuel White, 1965. The collection includes also certificates of Associate-Member and Member of The Institution of Naval Architects, 1913 and 1919; election as a Fellow of the Royal Society for the Encouragement of Arts, Manufactures and Commerce, 1937; Member of The Institute of Welding, 1937; Ordre National de La Legion D'Honneur, 1949; Honorary Fellowship of The Society of Engineers, 1955; award of a Society Premium by The Society of Engineers, 1958; and Fellowship of Imperial College of Science & Technology, 1964. The Welding Institute, the professional membership arm of TWI, awards annually the Applied Technology Award in memory of Sir William Larke and Sir Charles Lillicrap to the individual or team who has had most influence or impact upon the practical application of novel welding or joining knowledge or technology. It combines, from 2009, the Sir William J Larke Medal and the Sir Charles Lillicrap Medal. The subject may be presented in a published academic or research paper but the nomination will be assessed on its practical application value and impact on welding and joining in real-world engineering. Engineering project applications may well be used to support nominations but it is essential that the technical content has been published to the benefit of the welding and joining community. R. J. Daniel: End of an Era. Periscope Publishing Ltd, 2004. The Treaty Era. In: Norman Friedman: The British Battleship 1906-1946, Seaforth Publishing, 2015, p. 252-253. 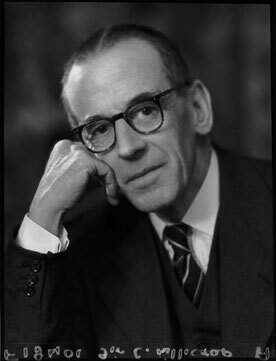 Lillicrap, Sir Charles Swift (1887-1966). National Maritime Museum Ref No GB 0064 LCR. In: AIM25 - Archives in London and the M25 area. Retrieved on 2 December 2018. GraemeLeggett, Navops47 and other Wikipedia contributors: Director of Naval Construction on Wikipedia. Retrieved on 2 December 2018. Charles Albert Lillicrap. In: Lives of the Fellows of the Royal College of Physicians of London. Lillicrap, Sir Charles Swift (Director Of Naval Construction), 1887-1966. Ref Nos LCR/1 to LCR/16. In: National Maritime Museum, Greenwich, London. Lillicrap, Sir Charles Swift (Director Of Naval Construction), 1887-1966. Ref No LCR/14/1 In: National Maritime Museum, Greenwich, London. Lillicrap, Sir Charles Swift (Director Of Naval Construction), 1887-1966. Ref No LCR/14/2 In: National Maritime Museum, Greenwich, London.